Wal-Mart Stores Inc.'s (WMT - Get Report) $20 billion stock buyback program could be a bid to quiet dissent among a group of increasingly restive institutional shareholders, even though the massive family-owned retailer doesn't now face any known activist threats. Stock buybacks, a standard practice for companies to boost the value of existing shares and show they are in top shape, also serve as a strategic tactic to appease shareholders, financial experts told TheStreet. That could be the case for Walmart, which announced the buyback as part of its earnings outlook report Tuesday, Oct. 10. Keeping institutional shareholders happy with buybacks could be seen as a preemptive defense against any future issues, sources said. "They're obviously appeasing potential dissident shareholders," said Gary Lutin, chairman of the Shareholder Forum, an online database for corporate information. "The Walton family owns a large portion of shares, but that doesn't mean the company is invulnerable to activist threats." By increasing the stock price, Walmart's buyback program "keeps the hedge-fund activists happy," said William Lazonick, an economics professor at the University of Massachusetts who has penned extensive articles arguing against buybacks. The Waltons, the founding family of the Arkansas-based retailer, own more than 50% of the company. Walmart's other largest shareholders are institutions, including the Vanguard Group Inc., which owns nearly 14% of shares and SSgA Funds Managements Inc., with 3.5%. Given the Waltons' stake in the company, it's not an attractive target for activist investors—that is, unless long-term players invite them onto the board. 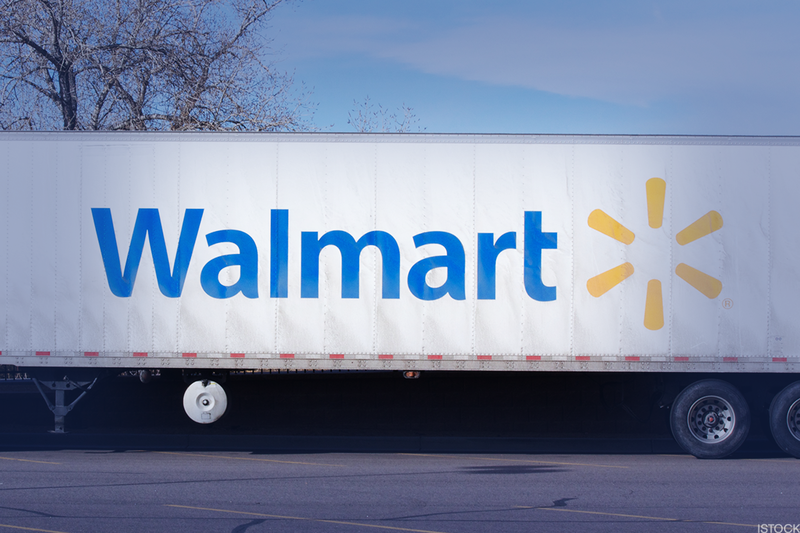 Walmart's shareholder support rankings point to some unhappiness within the company, Lutin told TheStreet. Vanguard and SSgA could not be reached to comment for this story. The support ranking, or the percentage of shareholders that disapprove of executives' pay, is relatively high at 16.7% in 2017, according to Forum data compiled from the SEC. The percentage looks at total votes cast in advisory "Say on Pay" shareholder approvals of executive compensation. Although the vote is about compensation, the Say on Pay question can be viewed a measure of shareholder approval, according to Josh Black, the editor-in-chief of Activist Insight, a news and data provider on corporate governance. "It's certainly a litmus test for dissent and happiness," he told TheStreet. "They could disagree based on specific reasons, or vote in a way of making a general statement about the company." Walmart's 16.7% rating exceeds the average of 4.3% for the components of Russell 1000 and could signal disharmony among shareholders. Target Corporation (TGT - Get Report) , for instance, saw a 6.1% dissent rate in 2017. Kroger Company (KR - Get Report) reported 6.9% and Macy's (M - Get Report) had 6.3%. ProxyInsight, a database that tracks proxy reports, names BlackRock, AXA Investment Managers, and ING as among Walmart's institutional investors that voted no. The latter, for instance, said the reason for its vote is Walmart's "non-rigorous goals." "Both annual and long-term incentives for fiscal 2017 performance were earned above target against largely non-rigorous goals, despite the fact that actual performance for a number of incentive measures actually declined for the year in review," ING wrote as its rationale for the June 2 vote, according to ProxyInsight. But despite the vote on executive compensation, Walmart's screen on activist vulnerability is pretty low, Black told TheStreet. Not everyone is skeptical of Walmart's motives when it comes to its buybacks. Brian Nagel, an Oppenheimer analyst, told TheStreet that the buyback doesn't represent a strategic play as much as it is a "reflection of confidence on the part of management." "As retailers mature, despite the investments they make, they still generate a lot of cash," he said. "Home Depot (HD - Get Report) , Best Buy (BBY - Get Report) , Auto Zone (AZO —they've all done it." Walmart itself claims the buybacks are nothing more than a way to invest in its own business and earn a decent return for shareholders, according to company spokesman Randy Hargrove. "Because of the strong cash flow we generate, it gives us the opportunity to buy part of our company and shows the trust we have in our strategy and that we feel comfortable about the company's value," he said in an email statement Tuesday. While Walmart has never seen a proxy fight, shareholder disruption wouldn't be new. The retailer faced some institutional challenges following a bribery scandal that erupted in 2012, in which the New York Times unveiled that the company not only paid more than $24 million in bribes to obtain building permits throughout Mexico, but also buried its internal investigation of the case. In 2014, the company disclosed that it had paid $439 million over two years on investigations related to possible violations of the Foreign Corrupt Practices Act in Mexico, China, Brazil and India. In the fallout of the bribery scandal, its shareholder vote for the board of directors reflected unprecedented dissent against top executives, including then-CEO Mike Duke, with 13% of the 3.4 billion shares voting against Duke's position on the board, the AP reported in June 2012. Then, in 2014, four shareholders including Amalgamated Bank's LongView Funds and F&C Management Ltd waged a campaign for Walmart to disclose how they've held accountable the executive involved in the FCPA investigations. Still, Walmart has an extensive track record in repurchasing shares. "In the decade 2007-2016, Walmart did $67.3 billion in buybacks, equal to 45% of profits, and another $51.2 billion in dividends, equal to 34% of profits," Lazonick told TheStreet in an email, citing SEC data.